Fireworks, barbeques and parties, that’s what the 4th of July means to many Americans. A chance for family and friends to come together, celebrate with a cookout and to light up the sky. It is also a chance for advertisers to maximise sales during one of the biggest sales events in the US calendar. Last year, $6.8 billion was spent on celebrating Independence Day and the forecast for this year is even higher. So, how best to capture the billions up for grabs? With fantastic 4th of July ads! Publishers and their advertisers can make the most of this surge in spending by keeping in mind the following: 4th of July affects most types of advertisers. Barbecue and fireworks industries being the most obvious, but anyone who uses this day for promotional campaigns, or is involved in the chain of the activities that lead up to people enjoying their day; for example, gas stations, airlines, merchandise or grocery stores can all benefit too. Approach these advertisers with stunning spec ads to show them how they can also present their services to key buyers. As the 4th of July, is a patriotic holiday, most ads will naturally feature an abundance of red, white and blue. Use these colours sparingly to ensure your advertisers’ ads do not fade into a star-spangled background. This will ensure that they stand out, resulting in higher visits and a higher ROI. The creative is key to enticing potential customers but the campaigns will fail if you don’t consider how viewers interact with the ads and which devices they are using. 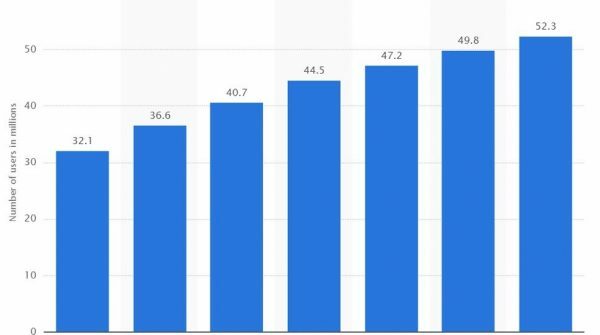 This chart from Statista shows the number of mobile-only internet users in America, it’s already at 40.7 million users and those people will never see the 4th of July ads unless they are optimised for mobile. When discussing the ad campaigns with your advertisers, ensure that they understand what the viewer behaviour and the importance of cross-device advertising. The US is a big place and geo-targeting will help key customers find the advertiser and generate footfall to the stores. 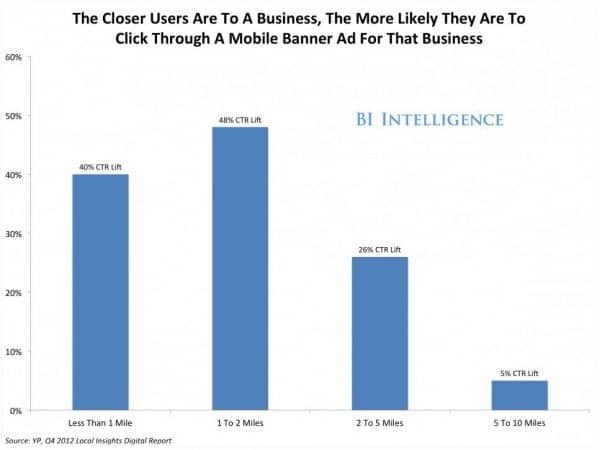 According to recent research carried out by Business Insider, the closer a viewer is to the business, the more likely they are to click the ad. It’s obvious really, a viewer may think ‘I need BBQ supplies, I will go to the nearest place to me that I remember’, geo-targeted ads will keep your advertisers front of mind and let you offer a higher-value ad package. Even retailers with multiple locations will benefit from geo-targeting and creating 4th of July ads with location-specific offers and messaging. BIA Kelsey reported that in 2015, location-targeted mobile advertising generated $6.6 billion in revenue in the US alone. All of these ads were made using the Localstars HTML5 ad platform. If you are a customer, simply login and start making ads. If you want to make spec ads for your prospective clients or need to make live ads quickly then get in touch and our Consultants will show you how easy it is to offer your advertisers fantastic 4th of July ads.